Definition at line 40 of file llhttpnode_tut.cpp. Definition at line 93 of file llhttpnode_tut.cpp. Definition at line 45 of file llhttpnode_tut.cpp. Definition at line 126 of file llhttpnode_tut.cpp. References LLSD::beginArray(), end, LLSD::endArray(), and i. Definition at line 117 of file llhttpnode_tut.cpp. Definition at line 65 of file llhttpnode_tut.cpp. References LLSD::clear(), tut::ensure_equals(), mContext, mRoot, remainderPath(), and LLHTTPNode::traverse(). Definition at line 95 of file llhttpnode_tut.cpp. References LLSD::clear(), tut::HTTPNodeTestData::Response::create(), LLHTTPNode::get(), mContext, mRoot, NULL, and LLHTTPNode::traverse(). Definition at line 106 of file llhttpnode_tut.cpp. References LLSD::clear(), tut::HTTPNodeTestData::Response::create(), mContext, mRoot, NULL, LLHTTPNode::post(), and LLHTTPNode::traverse(). Definition at line 47 of file llhttpnode_tut.cpp. References LLSD::beginArray(), LLSD::endArray(), i, and mContext. Definition at line 43 of file llhttpnode_tut.cpp. 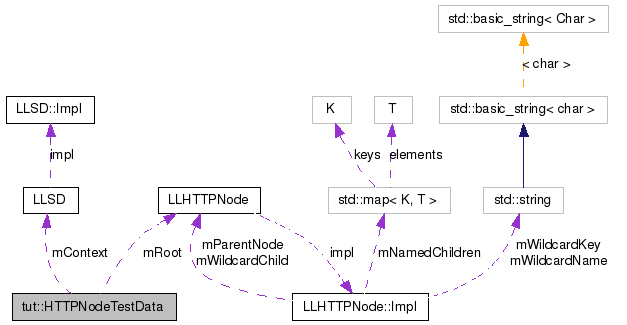 Referenced by context(), ensureRootTraversal(), get(), post(), and remainderPath(). Definition at line 42 of file llhttpnode_tut.cpp. Referenced by ensureRootTraversal(), get(), and post().